Nick Menza, 51, former drummer for the well-known metal band Megadeth, who had a deep interest in ufology, died on Saturday, May 21, 2016, after collapsing on stage during a performance of his progressive jazz trio in Southern California. Menza's latest band OHM was three songs into a semi-regular set at a Los Angeles-area club when Menza collapsed. Friends and audience members rendered aid while paramedics were called. The 51-year-old died at the club of a suspected massive heart attack. 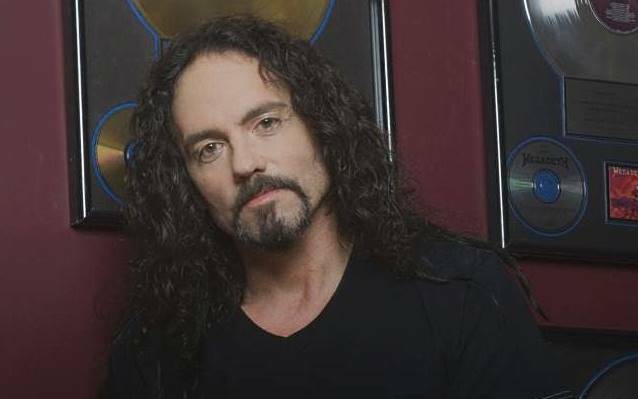 Nick Menza (July 23, 1964 – May 21, 2016) was the drummer in Megadeth from 1989 to 1998 and in 2004. He recorded drums on four of Megadeth's albums: Rust in Peace (1990), Countdown to Extinction (1992), Youthanasia (1994) and Cryptic Writings (1997). The name Menza is Italian, from a feminine form of Menzo, from Sicilian menzo "middle," possibly in the sense "middle son," presumably applied to the older of twin boys who have an older brother, or possibly a nickname for someone of small stature, from the same word in the sense "half." The name Nicholas is from the Greek Νικολαος (Nikolaos), with the meaning of the name Nicholas being "people's victory." St. Nicholas is the patron saint of children, sailors, and pawnbrokers - Santa Claus is based on this saint. 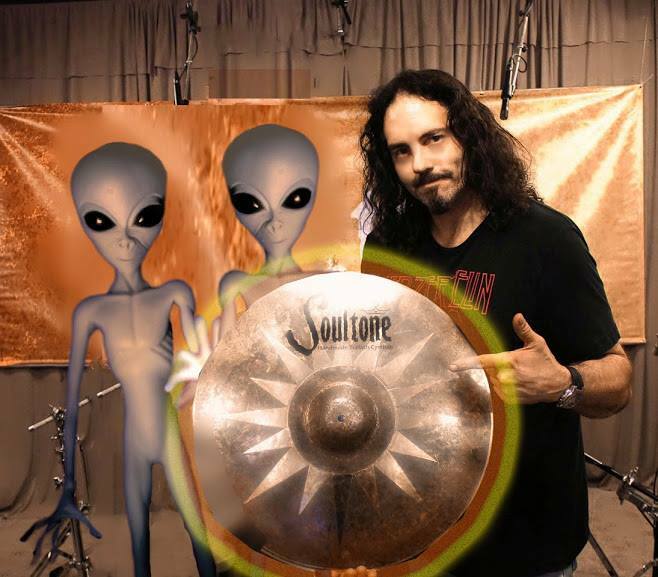 Menza made no secret of his long standing involvement in matters dealing with UFOs. In 2014, Menza filmed an alleged UFO outside his Studio City, California home on July 14. At the time, Menza said: "I was standing in my front yard with my two boys and this is what we saw. [It had] the shape of a triangular object with rounded tips glowing yellow and white. [I am] not sure what it is, but it looked totally awesome." In 2014, talking about his autobiography, tentatively entitled Menzalife, which he was writing with J. Marshall Craig, Menza told the media: "There's a lot of funny things in it. It's all true stuff. There's some government conspiracies and alien coverups and all kinds of stuff in there. Now that I'm into space exploration and research stuff — that's kind of what I'm into right now. I've always been into aliens and stuff like that. We are the aliens and that's why we're here. All the evolution of everything is from alien technology. "Before, back in the Stone Ages, like when we were just regular humans, we didn't have brains in us and then the aliens came down and they intervened and they put brains in our heads and now we're all smart and we're starting to figure things out, ascending to the next level and a higher level of conscious awareness and that sort of stuff." Source. Another obvious example of Menza's longterm interest in UFOs is the song he wrote over 26 years ago: "Hangar 18." "Hangar 18" is a song by American heavy metal band Megadeth from the 1990 album Rust in Peace. UFO conspiracy theories, or possibly Hangar 18, the 1980 film based on those theories, inspired drummer Nick Menza to write the lyrics. Shortly thereafter, frontman Dave Mustaine composed the bulk of the music. The intro is a rapidly strummed version of the D-minor arpeggio that Mustaine wrote for the Metallica instrumental track "The Call of Ktulu," which was the final Metallica music he was credited for. Hangar 18 is located at Wright-Patterson Air Force Base near Dayton, Ohio, and it is speculated that an alien aircraft was brought there from Roswell in 1947. The song reached number #25 on the Irish Singles Chart, also reached number #26 on the UK Singles Chart. The song is also particular in that the bass uses a different tuning from the two lead guitars, the bass being in dropped D while the guitars are in standard tuning. 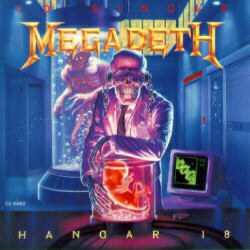 A sequel to this song called "Return to Hangar" was included on Megadeth's ninth album The World Needs a Hero. It tells the fictional story of the life-forms said to be contained in Hangar 18 coming back to life and killing those inside the building before escaping. "Hangar 18" was nominated for Best Metal Performance at the 1992 Grammy Awards. The "Hangar 18" video is themed after the song's lyrical concept. It depicts the torture of aliens and, at the end, shows all the band members in freezing chambers. The video was shot in San Pedro, Los Angeles at a Water & Power building. Coincidentally, the band would film the video for "Crush 'Em" on this same site nine years later. An edited version of "Hangar 18" is typically shown on MTV2 which has the song length cut down drastically. During the intro to the video the song "Dawn Patrol" from the Rust in Peace album can be heard in the background. Source. 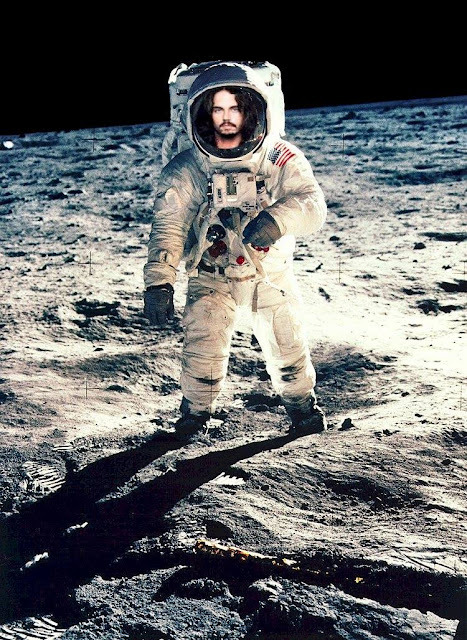 Interested in space, aliens, and ufos, Menza photoshopped himself on Facebook, as a spaceman, a couple years ago. Shades of David Bowie. Menza was Megadeth's longest-serving drummer, performing on five records over nine years, including 1990's thrash metal landmark, Rust In Peace. Dave Mustaine, singer, guitarist and co-founder of Megadeth, said in a statement that he awoke to a text message from his son with the news. "Shocked, devastated, and saddened don't begin to describe my feelings," Mustaine said. "As a player, Nick had a very powerful jazzy flair, unpredictable and always entertaining, and as great a drummer as he was, the time spent with him as a person, a bandmate, and a friend was even more fun," Mustaine's statement said. [Menza] is survived by his mother and father, the jazz saxophonist Don Menza, and two sons. Source. Thanks to Nick Redfern for the heads up. "A popstar carried on performing for 45 minutes despite being bitten by a cobra, before collapsing and dying on stage. This distressing video shows the moment Irma Bule, 29, was attacked mid-performance in the village of Karawang, West Java, by the venomous snake. The Indonesian singer was well-known for using reptiles in her acts and thought the king cobra, called Rianti, had been de-fanged."